Why Do I Have Jaw Pain & Tenderness? 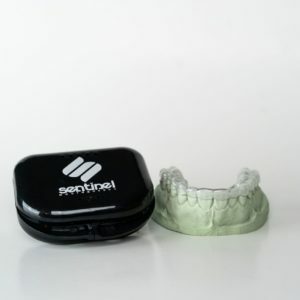 | Sentinel Mouthguard Co.
Why does my jaw hurt on one side? Notice jaw pain on one side of your mouth lately? Is there a popping sound accompanied with it? There are various reasons both or one side of your jaw is throbbing with pain when you chew, speak or just open your mouth. While jaw pain is sometimes caused by an injury or an abnormality with the joints of the jaw, there are other possible reasons for jaw pain some of which you can easily prevent. Read on to find out the facts about jaw pain and how you can prevent or cure it. Jaw pain can start off mild and gradually become intense, or it can just happen suddenly while chewing, laughing or opening the mouth. The exact symptoms often vary depending on the primary cause of the pain. Before treating jaw pain, properly identifying the cause is very critical. Your jaw pain can be as simple as the result of sinus trouble (allergies, common cold) that can increase jaw and facial pain. It can be triggered by excessive gum chewing, sleeping with your jaw laying on your fist constantly, teeth clenching during the day or night, certain medications, and/or it could be more involved such as jaw misalignment issues or trigeminal nerve complication. Your lower jawbone (the mandible) is attached to the skull, the temporal bone, by a pair of joints known as the TMJS (temporomandibular joints). These joints allow both sliding and hinging motions of your mouth. Damage to these joints is what causes TMD, resulting in pain in your jaw, face, and even the neck. Besides the pain, TMD may cause a clicking or popping sound with continuous chewing or when you open your mouth. Arthritis, strained ligaments, and tendons, disk problems are some of the problems dentists say can lead TMD. Teeth grinding and clenching habits that put too much pressure on the joints can also lead to the development of TMD. It is often very hard to pinpoint the exact cause of TMD, making it hard for dentists to diagnose and treat the disorder. Most TMD cases often resolve themselves with time. However, severe cases can even lead to the jaw becoming permanently stuck in one position. There are home remedies for TMD which include taking over-the-counter non-steroidal anti-inflammatory medications, eating soft foods, avoiding resting your chin on the hands, learning relaxation techniques, among other remedies. It is, however, advisable to see your dentist as the problem may develop and become serious. Treatment options include various types of therapies, ultrasounds and having trigger-point injections. Perhaps you are already aware that teeth grinding (medically referred to as bruxism) or clenching can cause serious damage to the teeth. Although mild bruxism might not need treatment, regular and more frequent grinding may pose severe risks that can lead to severe facial and jaw pain, headaches, tooth damage, among other problems. Some people tend to grind or clench their teeth when stressed, angered, or frustrated while others do it involuntarily while asleep. Certain medications can intensify the need to clench or grind your teeth. Adderall and other amphetamines have been sited by dentists and researchers as a cause for bruxism. Adderall abuse is a growing concern in the United States. Millions of adults (all ages) are taking adderall at doses that are too high. Other bruxism intensifiers include caffeine, alcohol, sugar, gum chewing, excessive talking or yelling and stretching of the mouth. Stress is the number one factor that is thought to cause teeth grinding and or jaw clenching. Try relaxing the jaw during the day. Relax your eyebrows and your eyes. Try to be conscious of the tightening of the jaw and clenching of the teeth during the day. This is a habit that can develop and potentially cross over into your sleep. 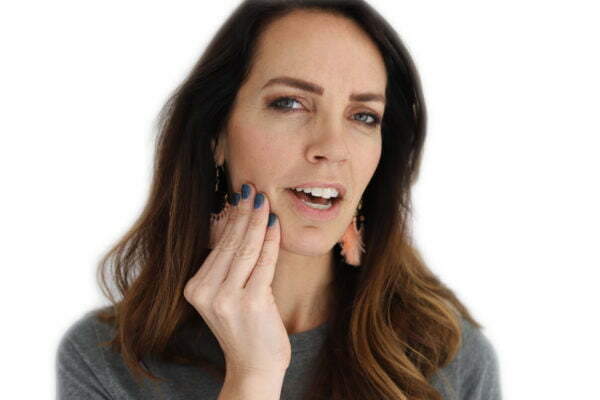 What are some symptoms of teeth grinding and jaw clenching? Symptoms of bruxism include flattened, chipped or fractured teeth, tooth and jaw pain while chewing, tired jaw muscles or sometimes a locked jaw that can’t close or open completely, and headaches. If the grinding affects your TMJs, you may hear a popping, clocking or grating sound when you open or close your mouth. If you are experiencing this problem, consider seeing a dentist and having a mouth guard made for you. Talking to your doctor or a psychotherapist about how you can reduce stress can also be helpful. The jaw pain you feel while chewing may be a result of other dental problems like gum and tooth abscesses, cavities, and deep tooth decay. A gum abscess (a pus-filled sac) develops beneath your gum line, leading to a gum disease that may cause jaw pain. Abscessed teeth are often a result of an infected nerve or pulp. This mostly occurs when there is a cavity that has been left untreated for a long time. When if the infection spreads deep to the roots of your teeth, it can affect jawbone tissues and consequently lead to significant jaw pain when eating or talking. Deep tooth decay also has the same consequences. Good news is that dentists can treat these conditions. Again, practicing good oral hygiene greatly reduces the risks these conditions present. 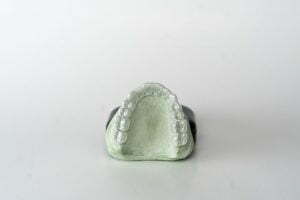 A malocclusion happens when you have mismatched teeth that do not properly fit together, causing you to have an improper bite. The jaw can also be mismatched. In many cases, the condition is present at birth, but it can also be acquired from such habits as tongue thrusting, premature loss of teeth, thumb sucking, or from medical conditions like enlarged adenoids and tonsils. Symptoms of malocclusion include pain when speaking or chewing. The condition can be treated by an orthodontist with the most common remedies being braces and surgical procedures to extract the poorly aligned tooth or teeth. You can a undergo surgery to fix the shape of your jaw. This is an infection which affects an individual’s bones and the tissues surrounding them. The infection travels through the bloodstream. Jaw osteomyelitis affects the temporomandibular joints leading to facial and jaw pains. Other symptoms include facial swelling and fever. The condition is curable with antibiotics or in severe cases; patients undergo surgical procedures to extract dead part of the bones. If you are experiencing jaw pain, see your dentist to find out if you have osteomyelitis. A traumatic injury to your face may cause serious jaw problems including joint dislocations, muscle spasms, and fractures. If you have recently suffered a fall or a sports injury to your face and you are experiencing jaw pain, it is advisable that you see a doctor as soon as possible. This is important because not only will you have your jaws checked out, but the doctor will also check for any brain injury. Jaw pain can be very discomforting. While you can relieve mild jaw pain at home by applying cold packs to the face, using over-the-counter anti-inflammatory medications, and eating soft foods, it is always advisable to have the pain checked out by a professional dentist. Stay proactive. Talk to a medical professional about ways to fix the problem. Hopefully this article has been helpful to you. Have a question? Please leave it in the comments section below! We check back often. Are you experiencing jaw pain on the right or left side of your mouth? Perhaps you are affected by one of the conditions listed above. Fortunately, you have just landed on the most sought after solutions that can help you deal with jaw pain or tenderness. Here are some preventive measures that you may want to consider. · Wear a night guard. A night guard is important in a number of ways. 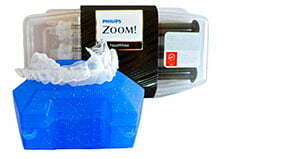 It is an effective tool that can help stop you from damaging your teeth, crowns, dentures, and the jaw. It also serves in stopping jaw aching, and in giving you a good night sleep. 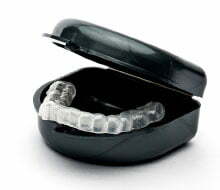 Therefore, when you wear a night guard every day before going to bed, the harmful effects that result from clenching and grinding are greatly reduced. · Medication. This is also another effective way to curb jaw pain. Medication use should be recommended and prescribed by your doctor. · Take time to relax. As mentioned earlier in this article, one of the causes of jaw pains or tenderness is grinding or clenching due to stress. Therefore, taking a time to relax is a way of relieving muscle tension and thus is an effective practice for eliminating jaw pain. · Change your diet. If chewing food exacerbates the pain be mindful of what you’re choosing to eat. Avoid hard foods that require you to stretch your mouth & use great force when chewing. Why can jaw pain happen on one side of the mouth? Jaw pain can happen on one side of the mouth depending on a number of factors. In this case, as mentioned, the causes include teeth grinding, abscessed tooth, and dental conditions among others. In addition, dental conditions such as cavities and gum diseases that affect only one side can cause pain in that particular side. Another reason could be sleep position. This could include sleeping on one side without changing position or sleeping with your hand or phone cupped under your face. It is important to maintain the right sleeping posture to avoid building pressure on one side of the jaw. Consult with your dentist if you’re experiencing continued jaw pain, clicking and/or popping. Jaw pain/tenderness is a condition that can be managed through proactive treatment.